New Delhi, Launching a scathing attack on Prime Minister Narendra Modi, Congress chief Rahul Gandhi on Thursday described him as a “darpok” (coward) and dared him to a five minute face-to-face debate on issues such as Rafale and national security. Addressing his party’s minority department convention here, Gandhi also alleged that the RSS was trying to capture the institutions of the country and asserted that his party’s governments in Rajasthan, Madhya Pradesh and Chhatisgarh will remove the organisation’s loyalists from the system. In his speech covering a range of topics, an aggressive Gandhi slammed Modi for his China policy, saying the prime minister flew to the country and held a summit without an agenda while Beijing sent its army to Doklam. Modi folded his hands before China, the Congress chief said, adding that China realised within two months that “leave alone 56 inches, he doesn’t even have a four-inch chest”. “I know his (Modi) character after fighting him for five years…I say to BJP leaders… make Narendra Modi stand with me on stage for five minutes and debate on national security, Rafale,” Gandhi said in his speech in Hindi. 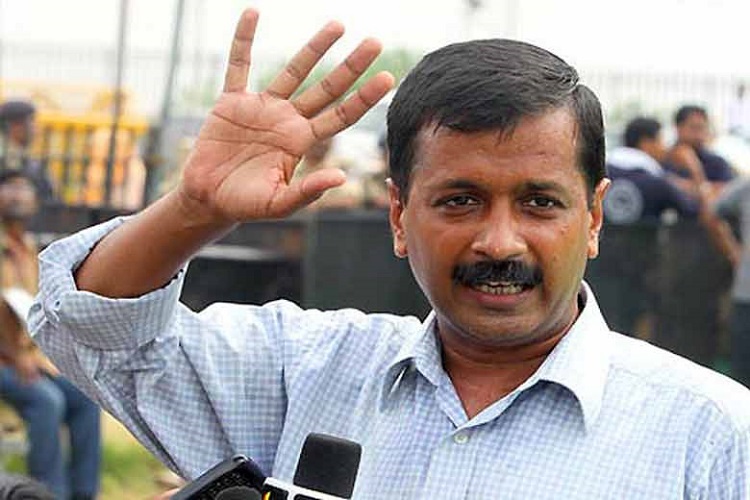 “I want to say he is a darpok (coward) person. I have recognised him. He gets scared when he faces someone who says I will not back off, he backs off,” the Congress chief said, walking away dramatically from the mike for visual effect, eliciting applause from Congress workers. In a speech laced with sarcasm, Gandhi did not spare Hindutva ideologue V D Savarkar, mocking him for allegedly taking instructions from the British. Gandhi urged his party’s workers to face the RSS, the BJP and Modi with all their might. If Congress workers stand together, they (RSS, BJP, Modi) will run away as “they are cowards”, he added. 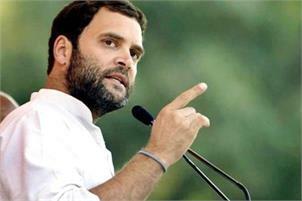 The Congress chief said fear was writ large on Modi’s face and asserted that those who spread hatred will be defeated. “We have not merely formed governments in Rajasthan, Madhya Pradesh and Chhattisgarh… we will ensure that RSS people put in institutions in these states are removed,” he said. Gandhi claimed that Madhya Pradesh Chief Minister Kamal Nath informed him that there was a special ministry in Madhya Pradesh under the BJP rule to which Rs 800 crore were given and it was full of RSS people. “In these states (MP, Chhattisgarh, and Rajasthan), one by one, we will do the work of removing RSS people from government’s institutions. The bureaucracy of these states should know and India’s bureaucracy should know that you are not RSS’ bureaucracy, but India’s bureaucracy,” Gandhi said. He asserted that irrespective of language, religion, and caste, the Congress party will always protect all Indians. The aim of the RSS is to set aside the Constitution and run the country from Nagpur, he alleged. “The RSS puts its people in the judicial system, in the Election Commission. The CBI chief if he wants to probe Prime Minister Narendra Modi, he is set aside and an RSS person is put in his place. Their aim is to finish all institutions in the country,” Gandhi alleged. “With Narendra Modi as PM, four Supreme Court judges come out and say that ‘we are not being allowed to work’ and in the same line take the name of Justice Loya and indirectly say that BJP president Amit Shah is not allowing the Supreme Court to do its work,” Gandhi said, referring to CBI judge B H Loya who was hearing the Sohrabuddin Sheikh and died in Nagpur on December 1, 2014. The RSS and the BJP think that they are above India, but in three months the country will make them understand that it is not so, Gandhi said. He alleged Modi snatched the Rafale contract from Hindustan Aeronautics Limited and helped Anil Ambani to make a profit of Rs 30,000 crore. “Do you accept that five years ago PM Narendra Modi’s reputation was very good. Do you accept that today Narendra Modi is a thief. He can’t even speak openly,” Gandhi said. In his tenure Modi gave Rs 3.5 lakh crore to 15 industrialists, Gandhi alleged. “I asked the team framing the Congress manifesto to give something that shakes up the country. I asked them to give me something that I could offer loudly and change the mood of the people,” he said of his party’s minimum income promise for the poor. The minimum income amount will be deposited in the bank accounts of the poor across the country by the Congress, he said. “If Modi ji can give lakhs of crores of rupees to 15 individuals, we can also put money in the pocket of the poor people,” he said. This decision will be first of its kind in the world, where a big country like India will directly transfer money in the accounts of poor people, Gandhi said, adding that this will eradicate poverty.